The Emmerdale is a pleasing example of the effect to be gained by repeating classic fine lines. 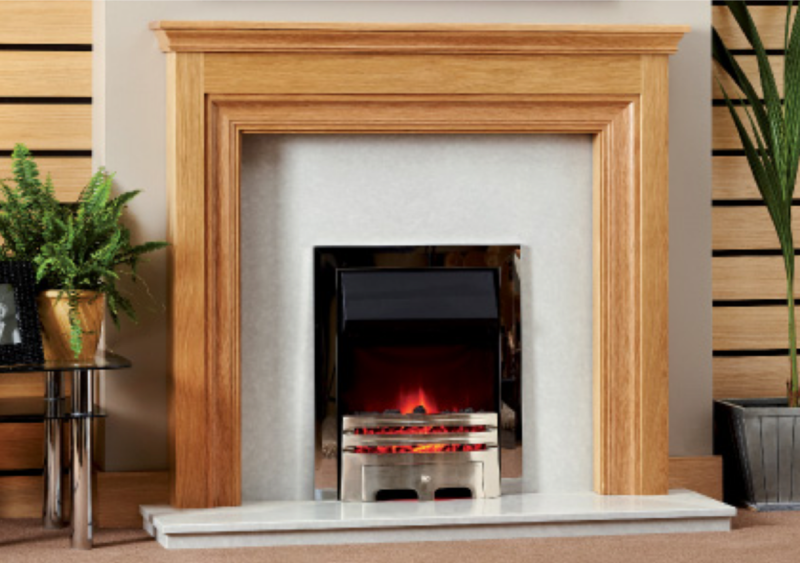 When paired with a cast iron back this wood fireplace offers a traditional design with a high quality finish. 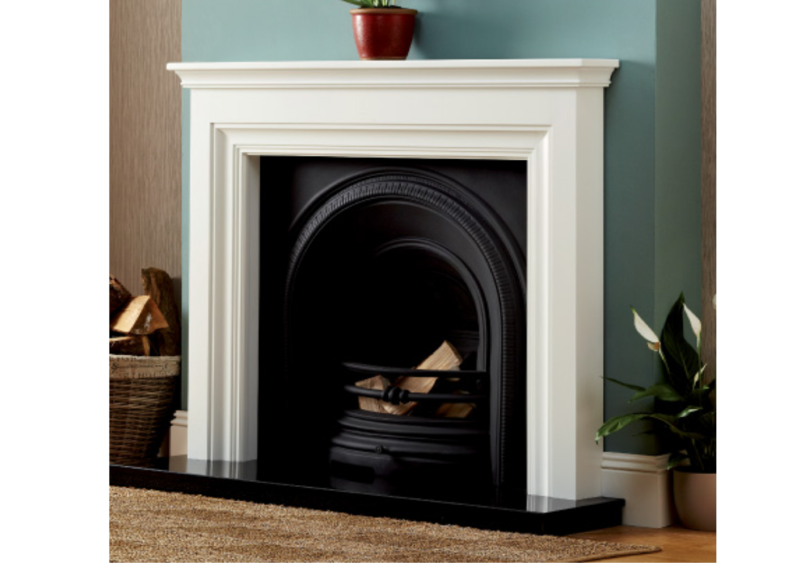 Or add a contemporary twist with a black granite or beige stone back panel and hearth.